Allergy recalls are one of the largest sources of recalls by the FSA, (Food Standards Agency), and yet a great many of these incidents could have been prevented. 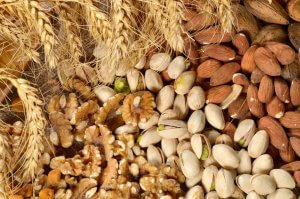 A substantial number of allergen recalls are caused by incorrect allergen food labelling as a result of food and drinks manufacturers relying on incorrect allergen declarations from their supply chain. The Food Standards Agency then publicises this error on their website and informs local authorities to make consumers aware of the problems. Mostly these are errors of omission, where an ingredient which could cause an issue to a particular allergy sufferer; has somehow been omitted from the labelling process. The resulting recall notice and immediate withdrawal from sale is expensive and highly embarrassing to the manufacturer, retailer and distributor. 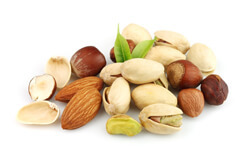 An up to date list of these recalls is present on the FSA website: FSA Food Alerts, Product Withdrawals and Recalls page.Details of the latest Allergy Alerts can be found on the FSA Allergy Alerts News page. Adding the missing allergen to future labels is a relatively easy task in comparison to the trauma and additional workload involved in managing the recall; not to mention the expense incurred with thousands of wasted products. The QADEX Allergen Management module provides a unique solution which overcomes all of the above problems automatically using powerful inbuilt validation tools. It will totally remove over reliance on paper based systems which are not up to date, as many manufacturers, retailers and wholesalers have overstretched technical resources which reduces their ability to review and cross check all information provided by suppliers through various sources. This can represent a disconnection between supplier-audit functions and product-specification functions in many food businesses, and using the reliable QADEX software module, can seriously reduce your future risks of allergen related product recalls. The reason for its unprecedented success in the food and drinks industry, is because every allergen declaration, can be auto-validated using the QADEX software, which effectively reduces any future allergen related product recalls.